The first thing you may have to do is dental X-rays. This helps to identify, how deeply your roots and teeth are affected. The models are made of your teeth and mouth. According to the condition of your jawbone and number of implants, the plan of the treatment will be discussed. Especially, they will discuss the cost of the dental implant. Before you start the procedure, tell about the medical conditions of your teeth to the dentist. If you are allergic to anything or have any heart problem, don’t forget to mention it. They will take extra care of you during the procedure and avoid the things that are allergic to you. Also, ask the list of foods and drinks that you have to eat before and after your surgery. After discussing about the dental implant in Melbourne, the dentist will take the impression of the teeth that you need to replace. The dentist will inject anaesthesia on the surrounding area of the tooth, after which the tooth will be extracted and new implant will be placed. After that, the dentist will extract the damaged tooth from your mouth. Once the tooth is extracted, your dentist will insert the implant by drilling hole in your jawbone. This artificial root is fixed to support the new teeth. After your jawbone heals, it will fit tightly with the dental implant and start to function like an original tooth. But the thing is, it takes weeks to recover completely. Once the implant is stable, an abutment is fixed over the implant. At last, the crown is attached over the abutment, which resembles and function like an original tooth. You’re done! Do more research and find the right dentist who is specialised in tooth implants in Melbourne. 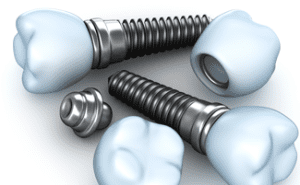 Their dental implant surgery will leave you with a fine looking and functional tooth. This entry was posted in Dental Implant and tagged Dental Implant. Bookmark the permalink.